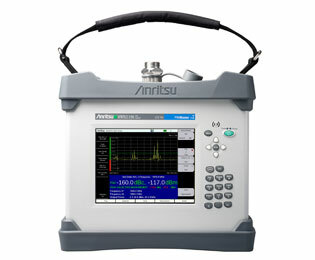 PIM Master Passive Intermodulation Analyzer - Sales and Repairs at BRL Test. Battery-operated, high power Passive Intermodulation (PIM) testing solution for the major wireless standards in use around the world. The PIM Master?s small size and light weight, combined with battery operation, make it the ideal solution for verifying PIM performance at difficult to access sites such as Remote Radio Head (RRH) installations or indoor Distributed Antenna Systems (DAS). The MW82119A includes Anritsu?s patented Distance-to-PIM (DTP) technology for accurately determining the location of PIM faults, both inside the feed system as well as beyond the antenna. Distance-to-PIM allows technicians to quickly and efficiently locate PIM sources at a site resulting in quicker site repairs and lower cost.